Orders through Jason-Aldean-Concerts.com will be fulfilled by one of our network of participating brokers. Contact information for the broker who fulfills your order (Fulfilling Broker) will be provided to User during the purchase process. If you lose this information User may contact us to get information about the order. All sales are final. Since tickets are a one-of-a-kind item and not replaceable, there are no refunds, exchanges or cancellations. If an event is postponed, tickets will be honored for the rescheduled date. New tickets will not need to be issued. If an event is cancelled without a rescheduled date, User will need to contact the Fulfilling Broker for a refund. The Fulfilling Broker may require the User to return the supplied tickets at User's expense before receiving any refund User may be entitled to due to cancellation. Jason-Aldean-Concerts.com is not responsible for providing or securing this refund for User. Any shipping and handling charges are not refundable. Neither Jason-Aldean-Concerts.com nor the Fulfilling Broker will issue exchanges or refunds after a purchase has been made or for lost, stolen, damaged or destroyed tickets. When User receives tickets, User should keep them in a safe place. Please note that direct sunlight or heat may damage tickets. Tickets sold through our site are from secondary ticket market brokers and are being resold in many cases above the price or "face value" listed on the ticket. Jason-Aldean-Concerts.com and its participating brokers are not directly affiliated with any performer, sports team, or venue and we do not act as a primary sale box office. Jason-Aldean-Concerts.com cannot confirm the price of an item until you order; however, the Fulfilling Broker does NOT charge your credit card until after the ticket has been secured. Despite Jason-Aldean-Concerts.com's best efforts, a small number of the items listed on the Site may be mispriced. If the Fulfilling Broker discovers an item's correct price is higher than the stated price, the Fulfilling Broker will, at their discretion, either contact you for instructions before shipping or cancel your order and notify you of such cancellation. If Jason-Aldean-Concerts.com is the broker handling your order, the name Jason-Aldean-Concerts.com will appear on your credit card statement rather than Jason-Aldean-Concerts.com. If another broker is handling your order, their business name rather than Jason-Aldean-Concerts.com will be the name appearing on your statement. 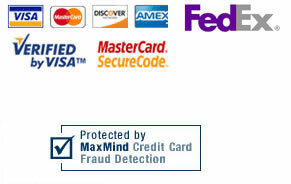 If you have any questions about charges on your credit card statement feel free to contact us. User agrees that User is only authorized to visit, view and to retain a copy of pages of this Site for User's own personal use, and that you shall not duplicate, download, publish, modify or otherwise distribute the material on this Site for any purpose other than to review event and promotional information, for personal use, or to purchase tickets or merchandise for User's personal use, unless otherwise specifically authorized by Jason-Aldean-Concerts.com to do so. The content and software on this Site is the property of Jason-Aldean-Concerts.com and/or its suppliers and is protected by U.S. and international copyright laws. The Site may automatically produce search results that reference or link to third party sites throughout the World Wide Web. Jason-Aldean-Concerts.com has no control over these sites or the content within them. Jason-Aldean-Concerts.com cannot guarantee, represent or warrant that the content contained in the sites is accurate, legal and/or inoffensive. Jason-Aldean-Concerts.com does not endorse the content of any third party site, nor do we warrant that they will not contain viruses or otherwise impact User's computer systems. By using the Site to search for or link to another site, User agrees and understands that User may not make any claim against Jason-Aldean-Concerts.com for any damages or losses, whatsoever, resulting from use of the Site to obtain search results or to link to another site. If User experiences a problem with a link from the Site, please contact us and we will investigate User's claim and take any actions we deem appropriate in our sole discretion. Jason-Aldean-Concerts.com, in its sole discretion, and without prior notice, may terminate User's access to the Site, cancel User's ticket order or exercise any other remedy available to it.. User agrees that monetary damages may not provide a sufficient remedy to Jason-Aldean-Concerts.com for violations of these terms and conditions and User consents to injunctive or other equitable relief for such violations. Jason-Aldean-Concerts.com may release User information if required by law or subpoena, or if the information is necessary or appropriate to release to address an unlawful or harmful activity. Jason-Aldean-Concerts.com is not required to provide any refund to User if you are terminated as a user of this Site. All text, graphics, files, applets, scripts, software and other works on the Site are the copyrighted works of Jason-Aldean-Concerts.com. All Rights Reserved. Any unauthorized redistribution or reproduction of any copyrighted materials on the Site is strictly prohibited. Jason-Aldean-Concerts.com, Jason-Aldean-Concerts.com and www.Jason-Aldean-Concerts.com are protected marks of Jason-Aldean-Concerts.com. Jason-Aldean-Concerts.com reserves the right to terminate the privileges of any User who uses this Site to unlawfully transmit or receive copyrighted material without a license or express consent, valid defense or fair use exemption to do so. After proper notification by the copyright holder or its agent to us, and confirmation through court order or admission by the User that they have used this Site as an instrument of unlawful infringement, we will terminate the infringing Users' rights to use and/or access to this Site. We may, also in our sole discretion, decide to terminate a User's rights to use or access to the Site prior to that time if we believe that the alleged infringement has occurred. JASON-ALDEAN-CONCERTS.COM MAKES NO ASSURANCES THAT THE SITE WILL BE ERROR-FREE, UNINTERRUPTED, OR PROVIDE SPECIFIC RESULTS FROM USE OF THE SITE OR ANY SITE CONTENT, SEARCH OR LINK THEREIN. THE SITE AND SITE CONTENT ARE DELIVERED ON AN "AS-IS" AND "AS-AVAILABLE" BASIS. JASON-ALDEAN-CONCERTS.COM MAKES NO ASSURANCES THAT FILES USER ACCESSES OR DOWNLOADS FROM THE SITE WILL BE FREE OF VIRUSES OR CONTAMINATION OR DESTRUCTIVE FEATURES. JASON-ALDEAN-CONCERTS.COM DISCLAIMS ALL WARRANTIES, EXPRESS OR IMPLIED, INCLUDING ALSO ANY IMPLIED WARRANTIES OF MERCHANTABILITY AND FITNESS FOR A PARTICULAR PURPOSE. JASON-ALDEAN-CONCERTS.COM WILL NOT BE LIABLE FOR ANY DAMAGES OF ANY KIND ARISING FROM THE USE OF THIS SITE, INCLUDING WITHOUT LIMITATION, DIRECT, INDIRECT, INCIDENTAL, SPECIAL, PUNITIVE, LOSS OF BUSINESS OR LOSS OF PROFITS OR CONSEQUENTIAL DAMAGES, WHETHER BASED UPON BREACH OF CONTRACT, BREACH OF WARRANTY, TORT, NEGLIGENCE, PRODUCT LIABILITY OF OTHERWISE, EVEN IF ADVISED OF THE POSSIBILITY OF SUCH DAMAGE. JASON-ALDEAN-CONCERTS.COM DISCLAIMS ANY AND ALL LIABILITY FOR THE ACTS, OMISSIONS AND CONDUCT OF ANY THIRD PARTY USERS, JASON-ALDEAN-CONCERTS.COM USERS, ADVERTISERS AND/OR SPONSORS ON THE SITE, IN CONNECTION WITH THE JASON-ALDEAN-CONCERTS.COM SERVICE OR OTHERWISE RELATED TO YOUR USE OF THE SITE AND/OR THE JASON-ALDEAN-CONCERTS.COM SERVICE. JASON-ALDEAN-CONCERTS.COM IS NOT RESPONSIBLE FOR THE PRODUCTS, SERVICES, ACTIONS OR FAILURE TO ACT OF ANY TICKET BROKER, VENUE, PERFORMER, PROMOTER OR OTHER THIRD PARTY IN CONNECTION WITH OR REFERENCED ON THE SITE. Except in jurisdictions where such provisions are restricted, in no event will Jason-Aldean-Concerts.com be liable to User for any indirect, consequential, exemplary, incidental, special or punitive damages, including lost profits, even if Jason-Aldean-Concerts.com has been advised of the possibility of such damages. User agrees to indemnify and hold Jason-Aldean-Concerts.com, its subsidiaries, affiliates, officers, agents and other partners and employees, harmless from any loss, liability, claim or demand, including reasonable attorneys' fees, made by any third party due to or arising out of User's use of the Site, including also User's use of the Site to provide a link to another site or to upload content or other information to the Site. User will select a username and password as part of the registration process. All User account pages are protected with Secure Socket Layer (SSL) encryption. User is fully responsible for maintaining the confidentiality of their username and password. User agrees to immediately contact us should User know, or have reasonable grounds to suspect, that the username or password have been compromised. Jason-Aldean-Concerts.com shall not be responsible for User's failure to abide by this paragraph. Jason-Aldean-Concerts.com may, in its sole discretion, terminate the User's account for any reason. Under no circumstances shall Jason-Aldean-Concerts.com be liable to any User or third party for termination of a User's account. Jason-Aldean-Concerts.com may allow third party advertisers to advertise on the Site. Jason-Aldean-Concerts.com undertakes no responsibility for User's dealings with, including any on-line or other purchases from, any third party advertisers. Jason-Aldean-Concerts.com shall not be responsible for any loss or damage incurred by User in its dealings with third party advertisers.